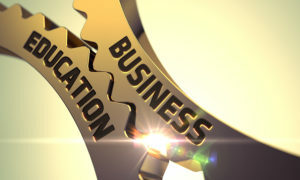 Businesses need employees with at least a high school-level education and strong English communication skills in order for them to be effective in the workplace and to help businesses succeed. Due to the employment market, some employers hire individuals with lower literacy and/or English communication skills than is desirable and find they need to invest in helping their employees improve these skills in order to be more productive workers and grow within the company. LCS has a number of advantages over traditional institutional educational services. Local educational institutions have fixed locations, set schedules during the week, and fees/tuition — those interested must go to their location in order to be served. No exceptions. The Literacy Council of Sarasota offers an alternative to the traditional fixed-site, set schedule, fees/tuition, and one-size-fits-all curriculum approach with adults. We provide educational services on-site at your location; where adults already are during the day, on their timeline, at no cost to them (the business is sponsoring), and that addresses their real-life, every day educational and literacy needs. 3. (Source: National Council for Adult Learning)).